The moon is moving away from Earth as you read this, by about 1.6 inches (4 centimeters) a year. Eventually it'll be torn apart as an expanding sun pushes the moon back toward Earth for a wrenching close encounter. There is no proof the full moon makes people crazy. 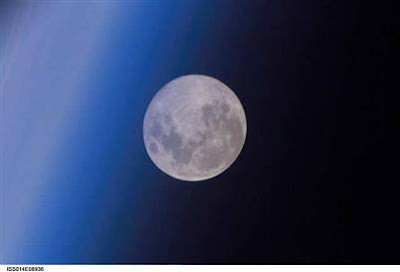 Beaches are more polluted during full moon, owing to the higher tides. The moon will rise Friday evening right around sunset, no matter where you are. That's because of the celestial mechanics that produce a full moon: The moon and the sun are on opposite sides of the planet, so that sunlight hits the full face of the moon and bounces back to our eyes. At moonrise, the moon will appear even larger than it will later in the night when it's higher in the sky. This is an illusion that scientists can't fully explain. Some think it has to do with our perception of things on the horizon vs. stuff overhead. Try this trick, though: Using a pencil eraser or similar object held at arm's length, gauge the size of the moon when it's near the horizon and again later when it's higher up and seems smaller. You'll see that when compared to a fixed object, the moon will be the same size in both cases. You can see all this on each night surrounding the full moon, too, because the moon will be nearly full, rising earlier Thursday night and later Saturday night. Interestingly, because of the mechanics of all this, the moon is never truly 100 percent full. For that to happen, all three objects have to be in a perfect line, and when that rare circumstance occurs, there is a total eclipse of the moon.